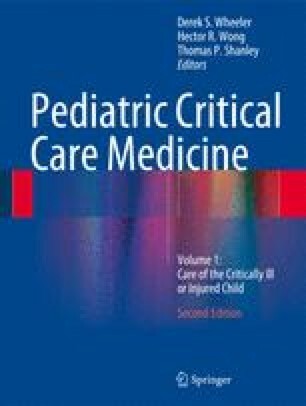 Acute respiratory failure is a common diagnosis among critically ill children and a leading cause of morbidity, mortality, and health care expenditures in the pediatric critical care setting. This chapter examines the anatomic, developmental, and physiologic characteristics that place infants and children at risk for respiratory failure. Respiratory failure may commonly present as hypoxemia and/or hypercarbia, but may be caused by a wide array of disease processes. As such, the varied etiologies of pediatric acute respiratory failure are reviewed, including upper and lower airway obstruction, causes of hypoventilation, ventilation perfusion inequality, and diffusion impairment. The chapter concludes with a discussion of evaluation of respiratory failure and a summary of key treatment principles, including lung-protective strategies.